Yesterday was a big day for Team Summer. Bittersweet to say the least. We gave our first Team Summer gift without Summer. 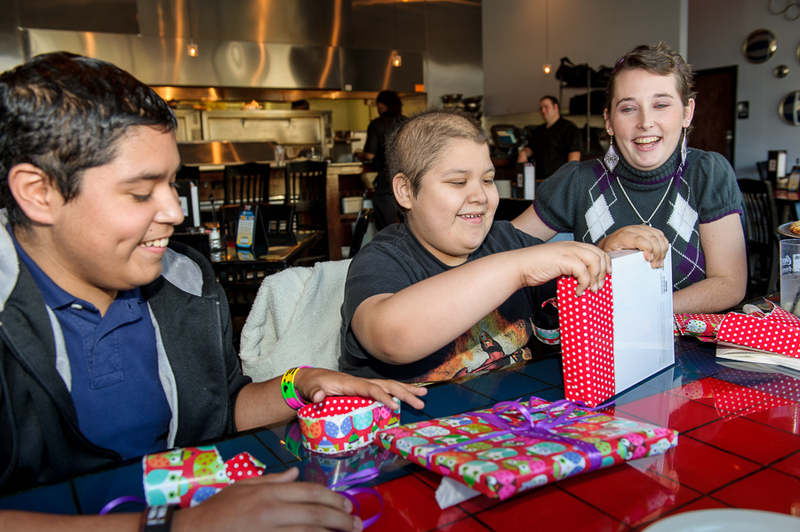 The gift recipient was a gentle 10-year old boy named Enrique who has leukemia. Diagnosed just this past summer, he has already been through so much, including four consecutive months in the hospital. 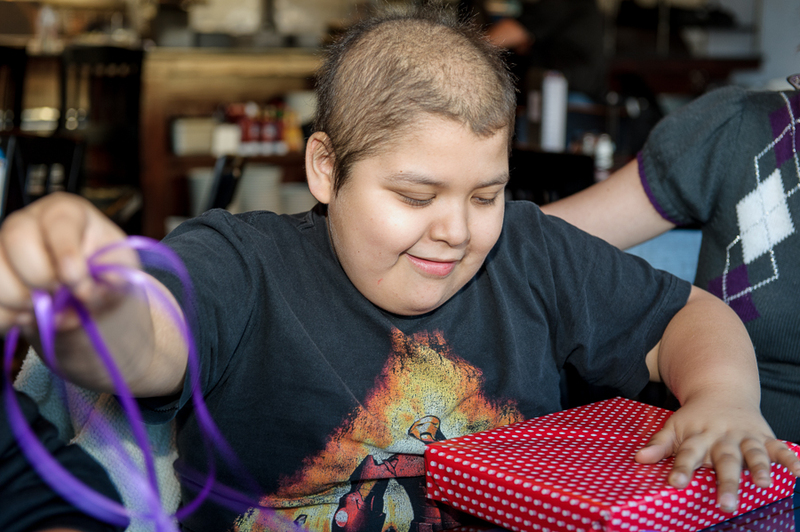 We learned that he loved to borrow the hospital iPad to play his favorite games and had been begging his mom to buy him one of his own. She told us that this was not remotely possible for her to do. So we told her about Team Summer and its mission to “help the kid in the bed”, to use Summer’s words. We explained that the gifts Team Summer gives are all personally selected to help a child cope with his or her difficult treatments. 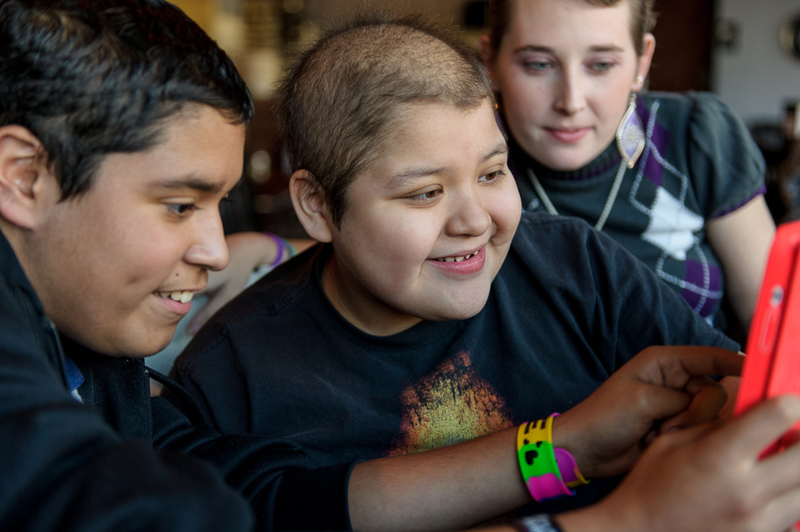 We told her that if an iPad would help distract Enrique through his upcoming rounds of chemo, then we would be happy to get him one. Over the phone there was silence, and then Enrique’s tired mom began crying softly. Once again, we were overwhelmed by a sense of gratitude that, thanks to people like you, we have funds to help in this way. But what to do without Summer to lead the way? Summer had always delivered every Team Summer gift personally. We called Lacey, the 21-year-old dancer who fought bone cancer and received the fashion photo shoot from Team Summer, and Antonio, the 13-year old boy who is still battling leukemia and got a laptop from Team Summer, and asked if they would help give this gift to Enrique. Both jumped at the chance.